Submitted by WoodenSpoon on April 1, 2015 – 2:38pm. 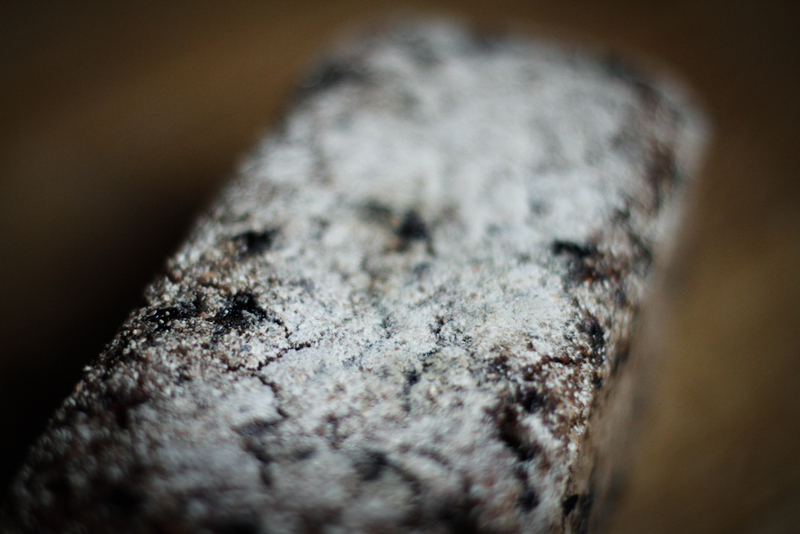 Over my last few days off (and the few days proceeding) I made this rye bread. The name means Cherry Rye Bread, I liked how it sounded and it accurately describes the bread so bam! Kirschroggenbrot is born. 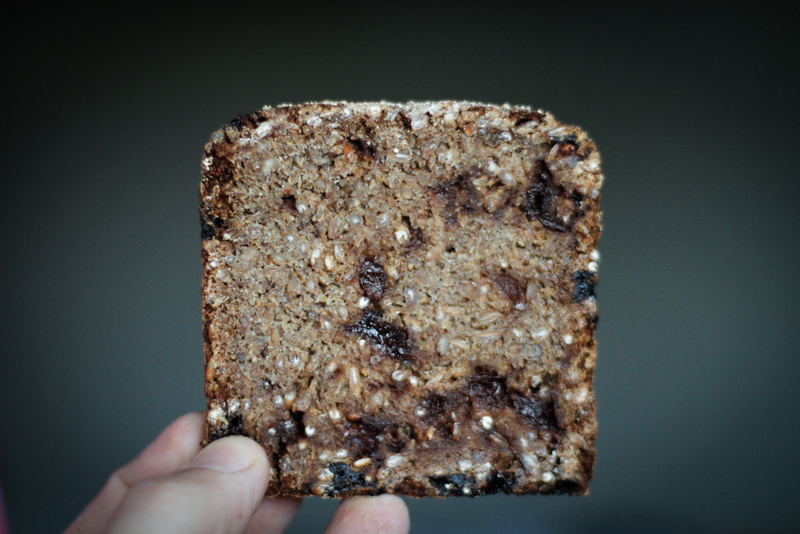 I started out a few days before starting the bread by sprouting a little more then 1000g of rye berries. This is the second time I’v sprouted anything and I’m pretty pleased by how straight forward and apparently foolproof it is. Once the berries where dried I ground them very coarsely and got to work on the levain builds. First I mixed the flour, beer and water and let it sit for 25 minutes. then I added the berries, cherries, levain and salt. Mixed with my hands briefly and packed right into my 9x4x4 pullman pan. half an hour later I removed the top of the pan. 15 minutes later I removed the loaf from the pan and finished it up on the stone for 15 minutes. after 15 minutes I took the loaf off the stone and put in on a oven rack, turned the oven off and let the loaf and the oven cool down together for an hour or so. Then I waited 24+ hours and cut it. This bread is crazy filling and just great tasting. 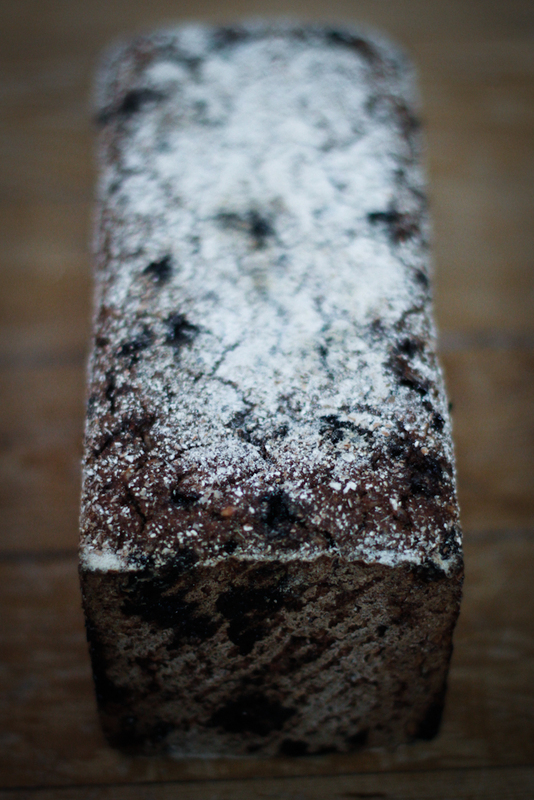 My house smelled like caramelizing sugar, spicy wet rye and cherries for hours. another thing I did differently this time was lightly rub the inside of my pan (including the top) with butter on a paper towel, then I put a generous amount of rye flour in the pan, closed the lid and shook. this gave the loaf a nice covering of rye and served as a non stick barrier for such a wet loaf.